Maurits Lopes Cardozo of Bike-minded was invited to present about Dutch cycling mobility at the APBP -Association of Pedestrian and Bicycle Professionals- speaker event in Los Angeles, CA, on March 6th 2019. 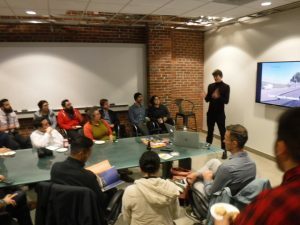 The event featured presentations with audience of transportation planners and other professionals and in depth discussions about how best practices from the Netherlands related to cycling infrastructure and policy. 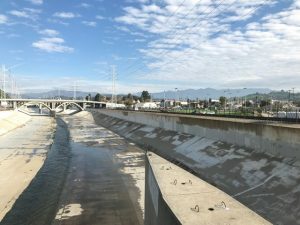 Bike-minded continues to work in California with the Jacobs-Alta team to develop the design of the LA River bike path project, bringing an international design perspective and Dutch best practices to the project that aims to close the 9 mile gap along the Los Angeles River with a high quality bicycle and pedestrian facility.